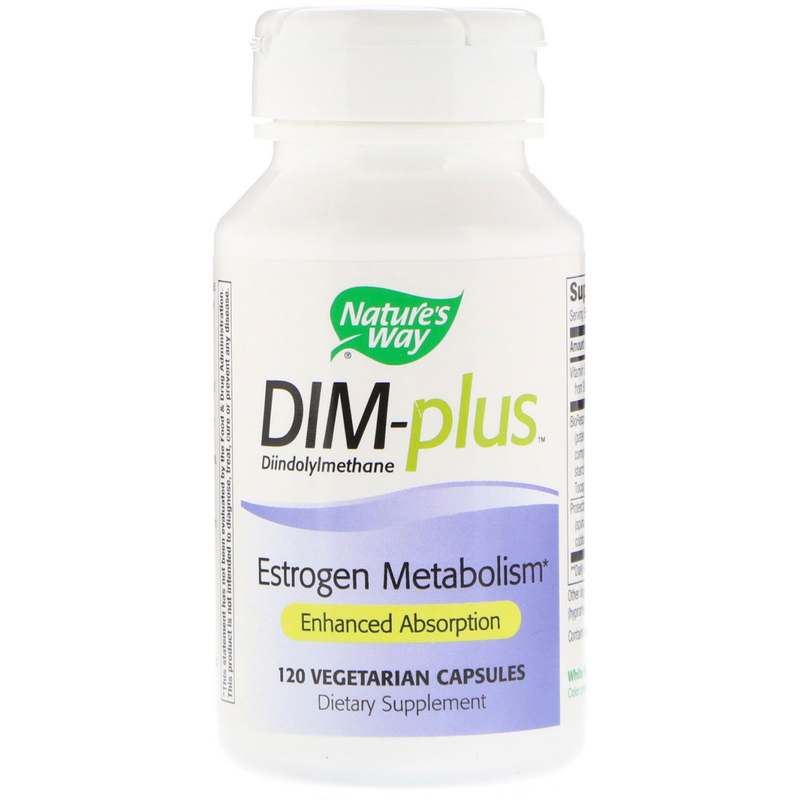 DIM-plus contains diindolylmethane, a phytonutrient found in cruciferous vegetables including broccoli, Brussels sprouts, cabbage, cauliflower and kale. 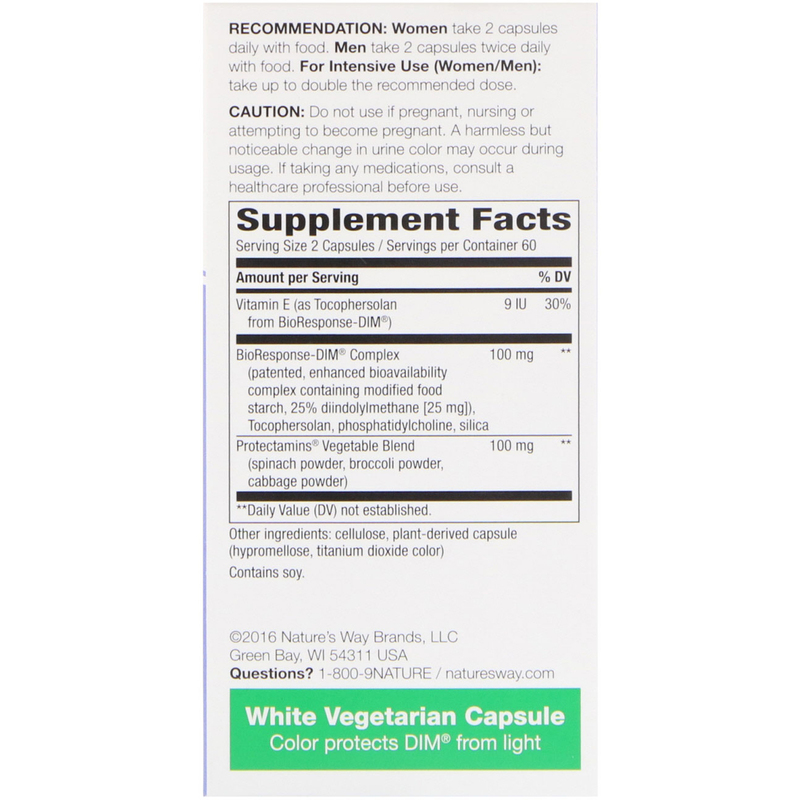 Diindolylmethane has unique benefits that support the activity of enzymes that improve estrogen metabolism. Research shows diindolylmethane increases the level of "favorable" estrogens (2-hydroxyestrogen) while reducing the level of "less favorable" estrogens (16-hydroxyestrogen). Contains patented BioResponse-DIM Complex—an enhanced bioavailability delivery system for diindolylmethane. The bioavailability of DIM-plus is superior to regular diindolylmethane and its unstable precursor, indole-3-carbinol (I3C). With DIM-plus you are assured a stabilized and consistent dose of diindolylmethane. 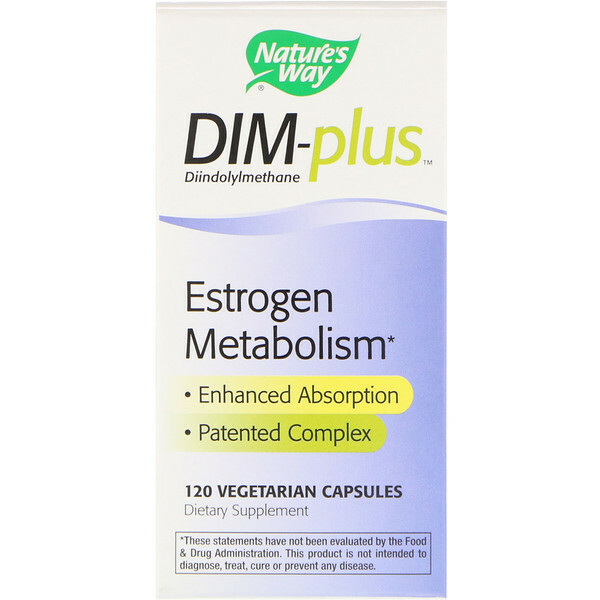 DIM-plus also contains spinach, cabbage and broccoli for additional phytonutrients. Cellulose, plant-derived capsule (hypromellose, titanium dioxide color). No sugar, salt, wheat, yeast, dairy products, artificial flavors or preservatives. Caution: Do not use if pregnant, nursing or attempting to become pregnant. A harmless but noticeable change in urine color may occur during usage. If taking any medications, consult a healthcare professional before use. Keep out of reach of children. Safety sealed with printed outer shrink-wrap and inner seal. Do not use if either seal is broken or missing. Store in a cool, dry place. Keep bottle tightly closed.